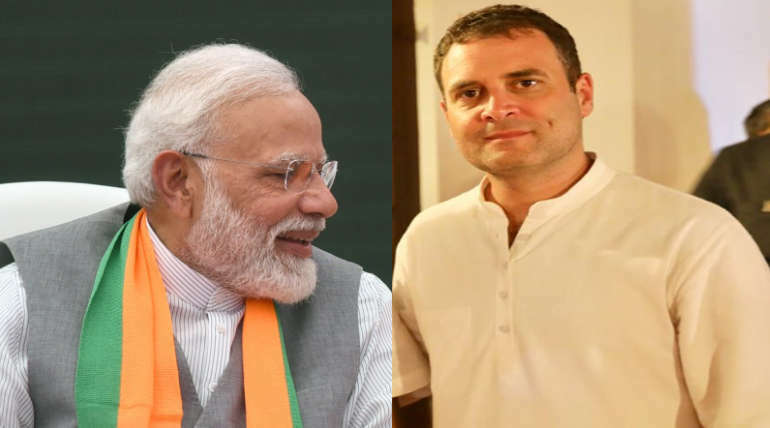 Prime Minister Modi and Congress leader Rahul Gandhi are coming to TamilNadu for the election campaign. Rahul today is campaigning for alliance candidates those who are having four seats and Modi tomorrow. The general election of 39 Lok Sabha constituencies in Tamil Nadu will be held of the 18th Lok Sabha polls. The election campaign has also fueled the burning heat. Candidates and party leaders are engaged in intensive ballot collection, regardless of boiling sunlight because the campaign is still up to five days. Leaders including Chief Minister Palanisamy, Deputy Chief Minister OPS and PMK founder Ramadoss supporting the AIADMK candidates and DMK leaders including MK Stalin, KS Azhagiri, have been in active support for the DMK alliance. In this case, Prime Minister Modi and Congress leader Rahul Gandhi are campaigning in Tamil Nadu. Last May 21, the Prime Minister of Madurai had laid the foundation stone for AIIMS and started his first election campaign on the same day on Kanyakumari continued his campaign in Tamil Nadu and also to Tirupur and Coimbatore. At present, he will come to Tamil Nadu for the sixth time. 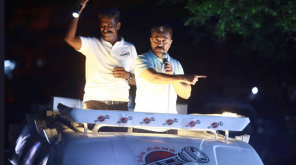 He is campaigning for 6 Lok Sabha constituencies at the public meeting in Theni and four Lok Sabha constituencies in Ramanathapuram. The Prime Minister arrives in Madurai at 8.35 pm from Kerala and travels from the airport to the private hotel in Pasumalai. Modi will leave at 9.55 am tomorrow morning and fly to the helicopter from there. In Theni, he campaign for son of the Deputy Chief Minister OPS, Ravindranath Kumar and Dindigul constituency PMK Mrs. K. Jothi Muthu, Madurai ADMK candidate VVR Rajsathyan and Viruthunagar R.Azhagarsamy. Modi will go to Ramanathapuram to campaign for BJP candidate Nayanar Nagendran (Ramanathapuram), H. Raja (Sivagangai), Tamilisai Soundararajan (Thoothukudi) and Puthiya Thamilagam candidate Dr Krishnaswamy (Tenkasi). Chief Minister Edappadi Palanisamy, Deputy Chief Minister OPS, DMDK Treasurer Premalatha and PMK leader GKMani are participating in the meeting. Congress leader Rahul Gandhi is also coming to Tamil Nadu for election campaign. Today he is campaigning in 4 places on the same day. Rahul, who starts campaigning at Krishnagiri at 10.30 am, will then attend a meeting in Salem at 1pm. DMK leader MK Stalin, along with Rahul, are also participating in the meeting, including the MDMK general secretary Vaiko. Rahul arrives in Madurai on the flight and then goes to the helicopter in Theni. At 4.30 pm, Congress candidate speaks to Evks EIlangovan in the meeting. 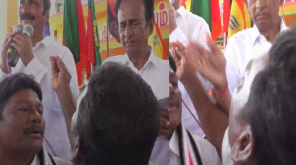 Rahul returns to Madurai and then speaks at a meeting in Mandela Nagar, Tiruparankundram. The leaders of the two national parties have come to Tamilnadu on the same day and speaking in public meetings in the subsequent days. Party volunteers are also enthusiastic about the arrival of the leaders. 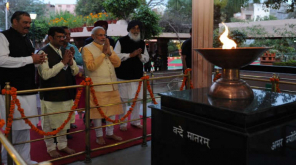 There is a lot of security arrangements in areas where campaign meetings are taking place with Modi and Rahul. 5 layer security arrangements have been made at the Madurai airport, Prime Minister staying Pasumalai Hotel and public meeting places.